The brand new Tecnologic UK website offers our customers an updated look and online ordering for many of our most popular process control products. 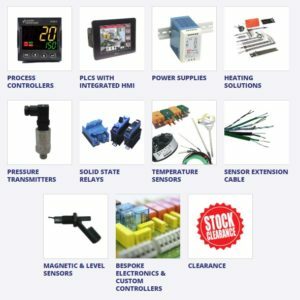 But as well as making searching and ordering easier, we’ve also completely reviewed and updated our product range to include, for example, the most recent Unitronics PLCs, and some completely new component types, such as pressure transmitters, to give you an even more comprehensive source of process control equipment. Here we provide a quick overview of what’s new in the Tecnologic range of process controllers and components. 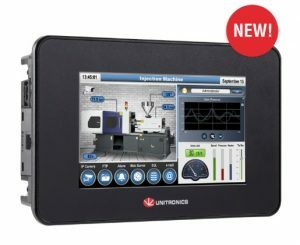 Unitronics PLCs with integrated HMI continue to be at the heart of our product range – and the Samba 3.5” and 4.3” widescreen from Unitronics have both proven to be a popular PLC choice for simple process control applications requiring an up-to-the-minute colour touchscreen HMI. Now, the new Samba 7 inch widescreen PLC is a great way to upgrade your application’s user interface without paying for additional backend functionality that you don’t need. Like the Samba 3.5 and Samba 4.3, the Samba 7 has 2 independent PID loops and up to 20 on-board I/Os, with a choice of four different models offering a variety of different digital and analogue I/O combinations. 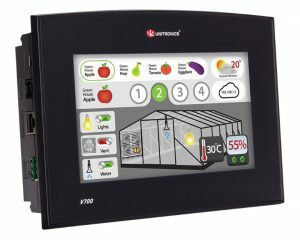 For more complex, multi-variable processes, the Unitronics Vision range has been our clients’ go-to choice of PLC with built-in HMI, for a number of years. The new Vision 700 is a welcome addition to the range, bridging the gap between the Vision 430 and the Vision 1210. Like other PLCs in the Vision range, the Vision 700 has 24 independent PID loops, with built-in communications options and extensive scope for I/O expansion. 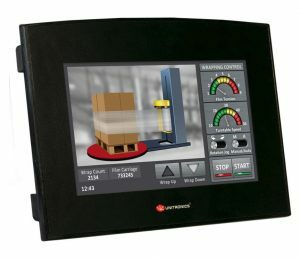 Its widescreen format 7 inch touchscreen offers a familiar tablet-sized HMI for industrial and consumer-based control applications. Available in just one model, it can be configured to your needs via an extensive range of snap-in I/O modules. If you need a powerful process controller with up to 48 PID loops, extensive I/O and comms options and a well built unit designed to withstand challenging industrial environments (IP65/66 rated), the Unistream range from Unitronics is hard to beat. Joining our existing models (the Unistream 7”, Unistream 10.4” and Unistream 15.6”) is the new, super-compact Unistream 5, featuring a 5 inch, wide aspect, colour touchscreen. It’s available in 2 versions – the Unistream 5 and the Unistream 5 Pro, which features expanded memory (RAM and ROM) and the ability to play audio and video files. We supply a large choice of industrial quality pressure sensors for a range of applications up to 200 bar. Our transmitters can be supplied with a variety of standard connection options, output signal types and sealing methods, with a choice of brass or stainless steel housings to suit the intended working environment. Thermistors – PTC and NTC thermistor sensors for use with our digital thermostats. PT100 Sensors – Accurate, long life RTD temperature probes and transmitters. Thermocouple Sensors – Broad range sensors in a choice of sizes and materials. Temperature Transmitters – In head transmitters for a range of sensor types. Plugs and Sockets – A large selection of miniature and standard sized in-line connectors for use with RTD and thermistor probes. Humidity Sensors – Relative humidity probes, with or without transmitter capability. Temperature Sensor Cable – RTD cable and thermocouple cable for type J or K in a range of materials. Although we specialise in temperature control applications we also supply a comprehensive range of other specialist sensors to detect a range of variables such as speed, presence, proximity, position, clearance and liquid levels for a variety of home and industrial purposes. Magnetic Sensors – Designed to detect position/proximity and control switching of loads for safety or alarm applications. Level and Flow Sensors – Liquid level sensors and float switches for accurate high/low level measurement of a variety of liquid types including water, oils, acids and most solvents. Our new site offers the same fast delivery times as before, with the majority of our products kept in stock and free delivery on orders over £50. 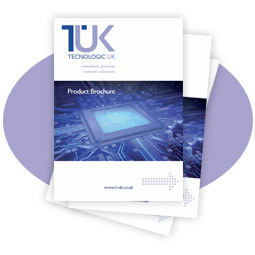 As well as standard components available for online ordering, we continue to supply a wide variety of customised components, ranging from heating elements built to your own specification, custom assemblies for solid state devices and more complex bespoke electronics and prototyping projects. And if you need help or advice on the right components for your project, you can still talk to one of our experts on our usual number 01252 377 600 during business hours.